The 360-room luxury hotel will include 30,000 square feet of street level retail space, and will be the latest addition to the 10-acre, mixed-use CityCenterDC. 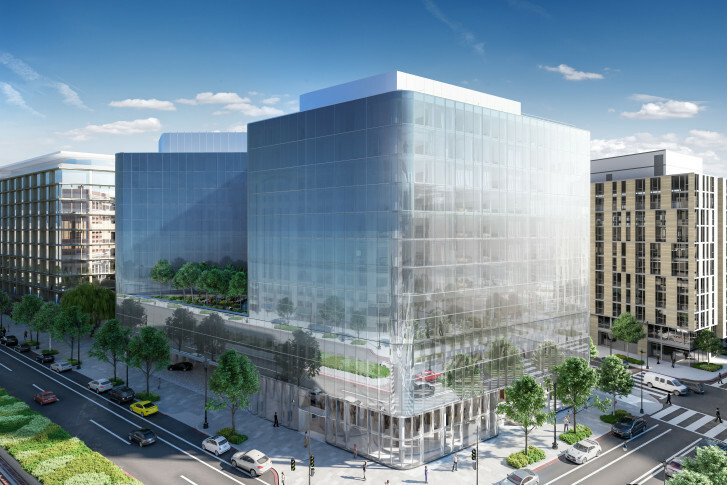 WASHINGTON — Hines Interests LP and development partner Qatari Diar, the real estate arm of he Qatar Investment Authority officially broke ground on the Conrad Washington, D.C. at CityCenterDC Tuesday. It will be Hilton Worldwide Holdings Inc.’s first Conrad Hotel in Washington. Prolific Washington chef and Top Chef contender Bryan Voltaggio, whose restaurants include Volt, Range, Aggio, Lunchbox and Family Meal, has signed on to run the yet unnamed flagship restaurant at the Conrad Washington, D.C. This will be the seventh building developed by Hines and Qatari Diar at CityCenterDC. The lead designer on the Conrad project is Herzog & de Meuron. HKS Architects Inc. is the architectural firm of record. The general contractor is Turner Construction Company. The Conrad Washington, D.C. is expected to open in early 2019. When open, it will employ approximately 350 people.